Today’s mobile application market evolves rapidly, offering support for new devices with increased functionality and various screen resolution options, new operating system releases, and daily updates of developers’ libraries. This, in turn, sets new requirements for mobile applications and opens new opportunities for expanding a customer base. Promwad Mobile specializes in development of applications for various mobile devices, car navigation systems and multimedia devices. We create mobile versions of desktop programs, port applications to different mobile operating systems and implement remote control for home electronics through a mobile phone. To increase the number of your potential users several times, all you need to do is port the application to a new platform and add support for additional languages or optimize the user interface for a new screen resolution. It takes wide expertise in modern operating systems to accurately adjust software products to the requirements of different operating systems as there are fundamental differences in their operation, which should be considered when optimizing the code and user interface. 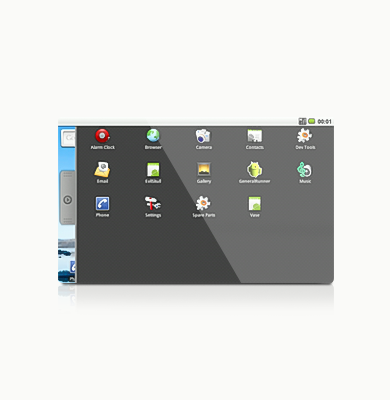 Promwad Mobile works extensively with Android / Apple iOS and efficiently ports applications to these mobile platforms. A further condition for effective application porting is consideration of differences in the hardware capabilities of different mobile devices, such as screen size and resolution, internal memory size, keyboard, touch input support and others. Promwad Mobile developers can design mobile versions of your applications with a wide variety of options. Do you need help with mobile application development for Android and iOS?